I’m putting together a summer hairstyle post for you (with all of the Pinterest braids I’ve been rocking), but in the meantime, here’s a post from the lovely Meg with one of her staples: the top knot. Thank goodness for dry shampoo. Lately on my instagram (follow me-AzBossLady !) I’ve been getting very sweet comments on my top-knot. 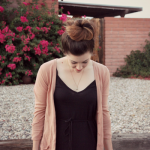 Top-knots are the sneakiest way out of a bad hair day and can add a little sass to your look. 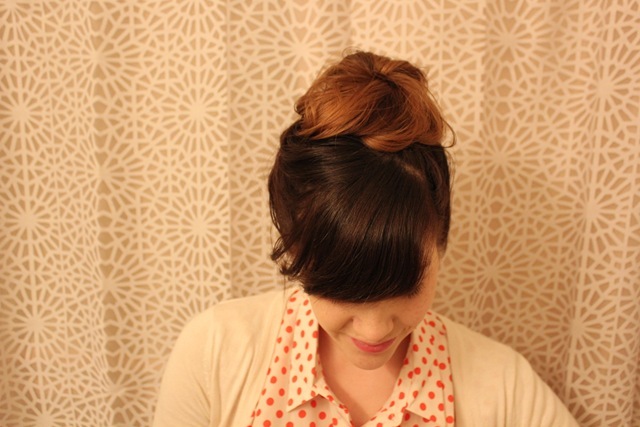 I love wearing top-knots because they are EASY to wear and easy to adjust. 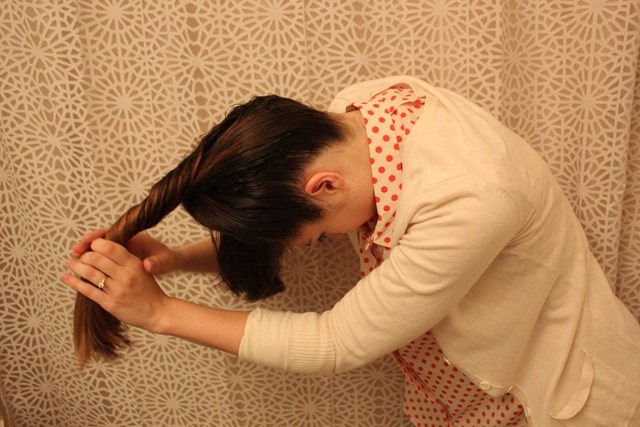 There have been many “late for school” moments that have been saved by this hairdo, and since I get so many questions about how I do it, I’d like to share my method for top-knotting with you lovely readers. 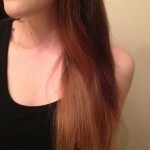 Step 2: Add product if you’re going bang-less. I’m rocking the bangs in this particular case. Step 3: Use a soft-bristled brush to smooth your hair and gather at the top of your head. Step 4: With your head still upside down, twist your hair several times. 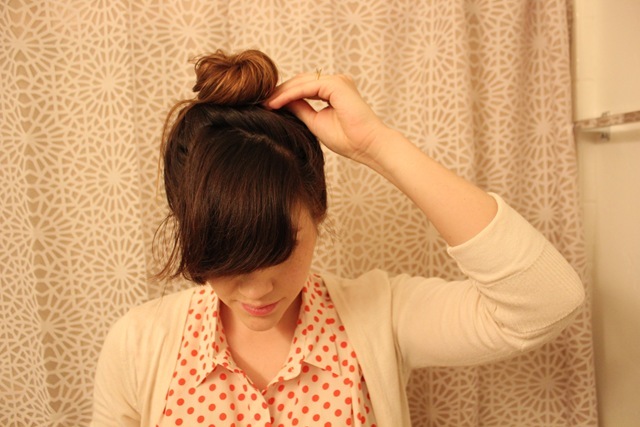 Step 5: Stand up and wrap your twist into a bun. Step 6: Secure your bun. I use a hair tie wrapped around twice. 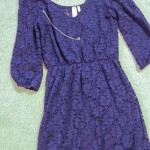 You may choose to bobby pin yours, mine won’t stay without a hair tie. Step 7: Pin the loose ends (or style your bangs). Say hello to your sassy, effortless, Summer look! 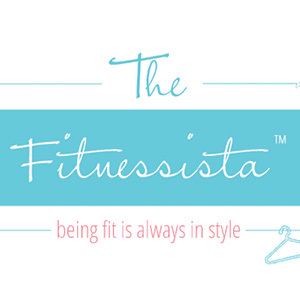 Very cute – I’ll be trying this out! Thanks for the tutorial! I love all of meg’s posts on here! Following you on instagram now, too! And btw you both have such gorgeous hair! 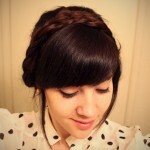 Meg, I must admit I have a girl crush on you…:-) Your style looks always effortless and super-sweet. I was just trying the top knot. Super easy and done in less than 2 minutes. I am so trying this tomorrow. My usual messy bun look is starting to look…well, messy. Time for a fresher look! Love it! My hair is growing out and is finally getting long enough to do a bun with. 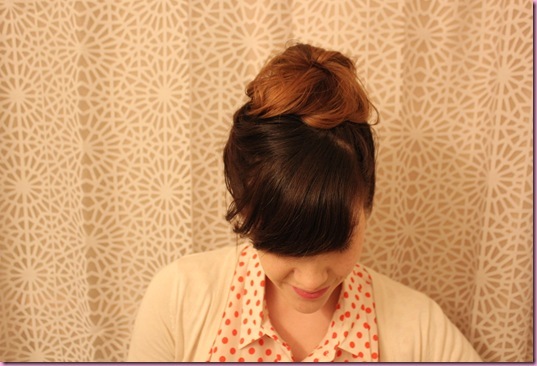 Can’t wait until I can do a big top knot like this! My hair isn’t long enough for this, but just wanted to say it looks great on you! 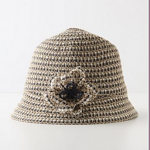 It fits with your classy style! 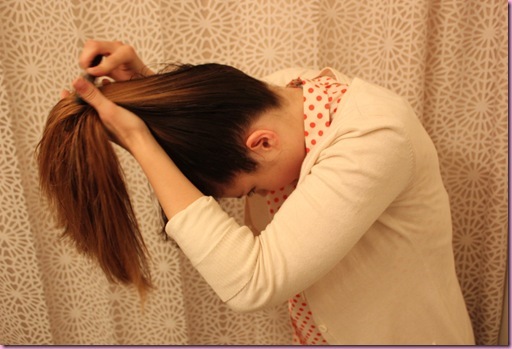 To do my top knot I use the new bobby pin – spin pin. It’s a spiral pin that’s supposed to be like using 20 bobby pins at once. 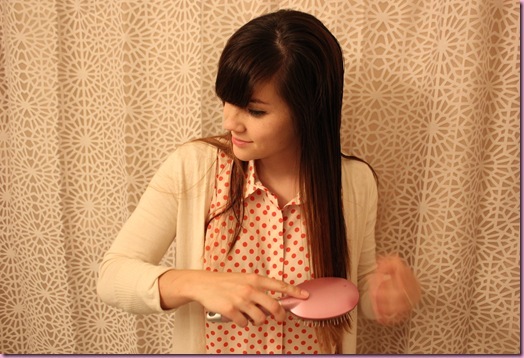 Super easy to use… and my hair is mega thick and two of them hold it up! 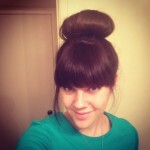 I love buns, they are so quick and super chic! 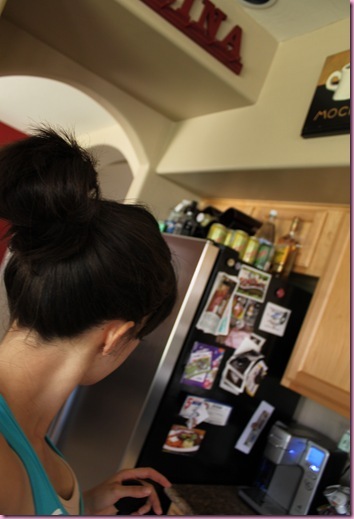 i adore the bun too and think it’s such a pretty, classic look– but i have to ask: have any of you ever noticed that the men in your lives HATE buns? i’ve dated several guys who claim to abhor the hairstyle! i don’t get it! Wheres the shower curtain from? It’s adorable! love this, sooo going to use this!